Just regular folks. : taco wed, physics continued. Lively dinner tonight. A party and it's a Wed! Taco Wed is what it is. 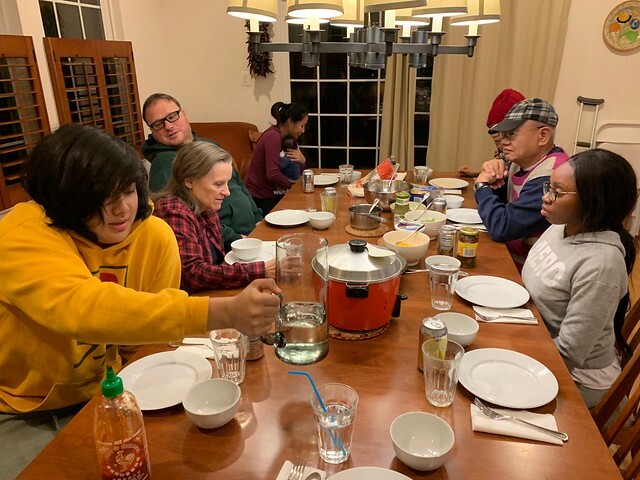 This pleases me, the dinner table is full, we have a simple meal I put together in about 45 minutes. We chat for about an hour and then it's done. We are all off our separate ways. Vince and I are struggling a bit with each other through his junior year. I had to call Jeremy early this morning for a pep talk. V and I always fight when Jeremy is out of town. Jeremy was like - uhhh, it's going to be hard for me to never leave town so you and Vince will never fight. lol. Vince is like - you only talk to me about things like grades, tests and SATs, why are you only picking on that? I said, well when you hang out with dad, you guys cook or go out to eat. Dad loves to cook. Do you know what I love? I love school. If I could, I'd go to high school forever. Do you know how satisfying it is to have the right answer for everything all the time? Life is never like that, you never know what the hell you are doing in real life. Like how to raise a teenager! I looked at my old physics textbook because I need to relearn all the physics stuff before I help Vince - I see that every even question in the whole book, chapter after chapter, has a little check mark next to it (only the even ones had answers in the back). Thirty year old check marks. I can't quite decide if I was an idiot for doing all of the questions or if my diligence was a good thing. Somedays I feel like being a diligent, consistent person is an excellent quality to have. Today I feel like I wasted time all that time as a teenager - in my little room, by myself with a swing arm lamp - circular motion, tension, ropes holding a boat on the dock - I could (and probably) should have been off doing more interesting things or meeting interesting people. 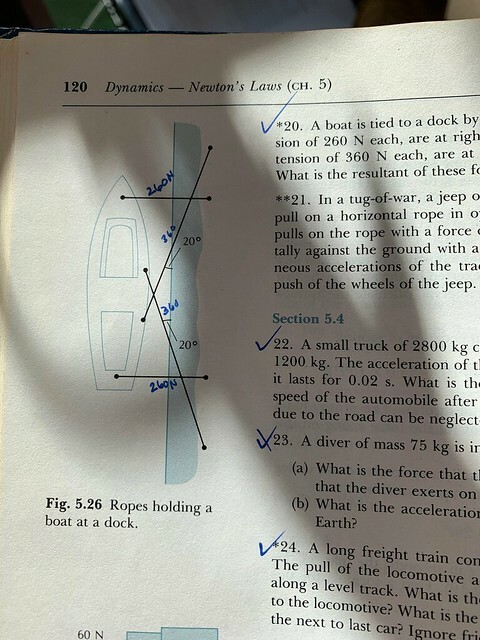 But I know doing all those physics problems was kind of soothing for me, as if all the questions I had about my life when I was 17 could be answered as simply as any of those checked-marked questions. As for Vince, I have to say over and over again, it's not about me, it's not about me, it's not about me.